is not nice. The purpose of bullying is to makes someone else feel worthless. Bullying can be done physically, verbally, or emotionally; all of these are mean. and through technology such as the use of cell phones and internet. should never be looked at as something to teach someone a lesson or a game. Let's call it what it is; Bullying is mean, cruel, vicious, and no longer accepted. 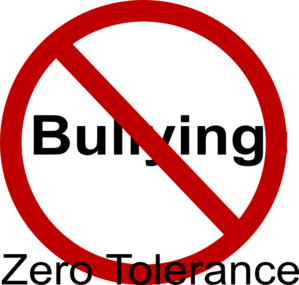 It is our responsibility to ensure a zero tolerance for bullying in our community. We encourage schools, students, parents, recreation programs, religious institutions, community organizations, leaders, mentors, tutors, and family members to STAND UP AGAINST BULLYING and make our communities safer for all children and adolescents.